¿Qué Pasa? 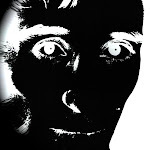 They snuck out a new Cale album yesterday in the US without me knowing about it? I never dreamed I'd learn of a new Cale release by discovering it in a record store, but there you are. Black Friday pisses me off, and I did not partake. There were only two copies left at my record store today. Lucky me. In other news... I have done you a disservice by not commenting on the recent CD, DVD, and vinyl (!) 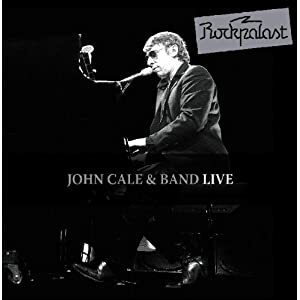 releases of John Cale's two Rockpalast shows. I picked them up shortly after release, but didn't have much to say at first. The CD release is great. It could be mixed better, but it's much better than the bootleg I had previously. The band show (Essen 1984) is not his best of that tour, and that band wasn't his best of the era, but it's still a good listen. (John Cale Comes Alive covers the same tour in superior versions but with many fewer tracks.) The solo show (Bochen 1983) is excellent - rather less crazed than other shows, but more competent. It features my favorite recording of "Only Time Will Tell" to date. The DVD is essential if you like watching Mr. Cale live... and who doesn't. The band show is more entertaining to watch. Heartbreak Hotel and Streets of Laredo will make much more sense when listening to the show after you've watched it. The vinyl is disappointing. The two-disc release includes the entire band performance, but only four tracks from the solo performance, and not the best ones at that. I'd have preferred selections from both shows. But it is nicely done (better materials than Cale Comes Alive) and worth picking up for superfans. Yesterday I`ve received the 'Black Friday Edition'from a recod store in California. I really like both additional tracks, but especially 'The Hanging'. It sounds like his 80's and the trumpets are impressive. Reminds me on the german band 'Element of Crime', Cale produced their debut LP. The trumpet is a charasteristic instrument of that band. For me 'The Hanging' would be great to hear live! how can you start a review saying you're halfway through your first listen...come on!!! Thanks for the correction, Mark! For other interested readers, the band for both tours was the Caribbean Sunset band. Young and Lichtenstein played on Music for a New Society and Young survived to contribute to Artificial Intelligence.